Hello everybody and welcome to language-easy.org! Well, as you have chosen this article about German infinitive, I suppose that you want know everything you should know to master this topic about basics of German grammar. Although you might think that a simple infinitive can]t be the big deal – be careful! Just keep in mind that the German infinitive is of crucial importance in German grammar, vocabulary and also in spoken language of daily life. 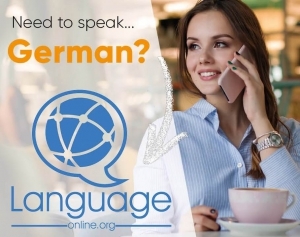 So, don’t underestimate this topic and concentrate – finally, you will notice that mastering the German infinitive will be of great use for you future study. In the following article, I’d like to talk about the two different types of infinitives in German, with and without the word “zu”. Well, this little world can even change the complete meaning of verbs! Furthermore, we will have a look at infinitive clauses with the two types of infinitive. By the way, in case you want to learn some further information about German infinitive and also some background knowledge about this topic, just look at this article on Wikipedia. And now, let’s not lose too much time and go straight ahead to the first part of this article about German infinitive! Well, let’s talk about the first form of German infinitive, the German infinitive without “zu”. But, first, let’s clear up what the infinitive actually is. Well, there is no big difference to the English one, so I don’t think that it will cost you understanding it. So, the German infinitive is the base form of a verb and end in “-en”. Well, in German, the infinitive is often used together with a conjugated verb. So, depending on the verbs it follows, we use the infinitive with or without the preposition “zu”. In the following list we will have a look at the verbs that take the German infinitive without “zu”. As already mentioned, we will see now the most important verbs that indicate the German infinitive without “zu”. So, keep in mind these verbs! First, modal verbs like “können”, “dürfen” or “mögen” take the German infinitive without “zu”. Furthermore, verbs like “müssen” leave out the subject and modal verb, so that only the German infinitive is left. “Ich darf nicht zu viel essen.” – I’m not allowed eating too much. “Ich höre meine Freundin rufen.” – I hear my friend shouting. Third, the verbs of movement also indicate the German infinitive without “zu”. “Ich laufe Hilfe holen!” – I run for help. Fourth, the verbs “haben” and “finden” in connection with lactions. “Jonas hat das Buch vor sich legen.” – Jonas has the book lying in front of him. Fifth, “lassen” and “schicken” take the infinitive without “zu”. “Lass mich das machen!” – Let me do that! Sixth and last, the verb “bleiben” in the context of ‘staying’ indicated the German infinitive without “zu”. “Ich bleibe hier sitzen!” – I remain seated! Well, I think we have covered the most important verbs that indicate the German infinitive without “zu”. In the following, we will have a detailed look at the infinitive with the preposition “zu”. Now, let’s talk about the German infinitive with the preposition “zu”. Actually, you can say that you have to use this German infinitive in all the situations that are not listed above. Well, a simple example would be “Ich versuche zu schlafen!” – I am trying to sleep! Unfortunately, there is a rather complicated topic in the context of the German infinitive with “zu”. Well, the meaning of verbs can change in case they are used with the infinitive with “zu”. Of course, there are many more verbs that can change their meaning when put into context with the German infinitive with or without “zu”. Well, its a simple matter of studying your verb lists in order to find out the correct meaning of your verbs. So, as already mentioned in this heading, there is the expression “um… zu” followed by the the infinitive form of the verb. Well, by using this expression you usually initialize a so called “Finalsatz” – that’s a subordinate clause expressing some kind of goal or intention. By the way, the question word for this kind of sentence would be “wozu”. So, in case the subject of the main clause is identical with the one in the subordinate clause, the conjunction “um…zu” is used. Apart from that, there is no subject in the infinitive construction. So, the infinitive is put at the end of the sentence. Well, here are some example that will illustrate what I mean. “Ich lerne Deutsch, um in Deutschland arbeiten zu können.” – I learn German in order to work in Germany. “Du wirst viel lernen müssen, um das Examen zu bestehen.” – You will have to study a lot in order to pass the exam. “Sie werden hart arbeiten, um ihr Ziel zu erreichen.” – They will work hard to reach their goal. So, this phrase is used instead of a negation. Well, there is not too much to say about it’s construction, as it is quite similar to the construction of the phrases with “um… zu”. So, let’s come directly to to some examples. “Sie ist gegangen, ohne sich zu verabschieden.” – She left without saying goodbye. “Er wurde verurteilt, ohne sich verteidigen zu dürfen.” – He was sentenced, without being able to defend himself. Finally, there is kind of German conjunction, which is used when an unexpected situation happened. Well, also the construction of sentences with this conjunction is similar to the one of “um… zu”. So, we will come directly to some examples. “Meine Freundin sieht in ihr Handy, anstatt mit mir zu reden.” – My girlfriend looks at her cellphone instead of talking to me. “Mein Bruder spielt lieber Computerspiele anstatt zu Abend zu essen.” – My brother prefers playing computer games instead of having dinner. So, as a last point of this article about the German infinitive, I want to mention the infinitive clauses. Here, we use the infinitive with “zu” after certain words and expressions in subordinate clauses. “Der Mann hat den Befehl, hier zu bleiben.” – The man has the order to stay here.